Headshot style environmental portrait of one of the cheesemakers at Many Fold Farm, Chattahoochee Hills, Georgia. Many Fold Farm is a sheep dairy and farm making award winning sheep cheese milk. 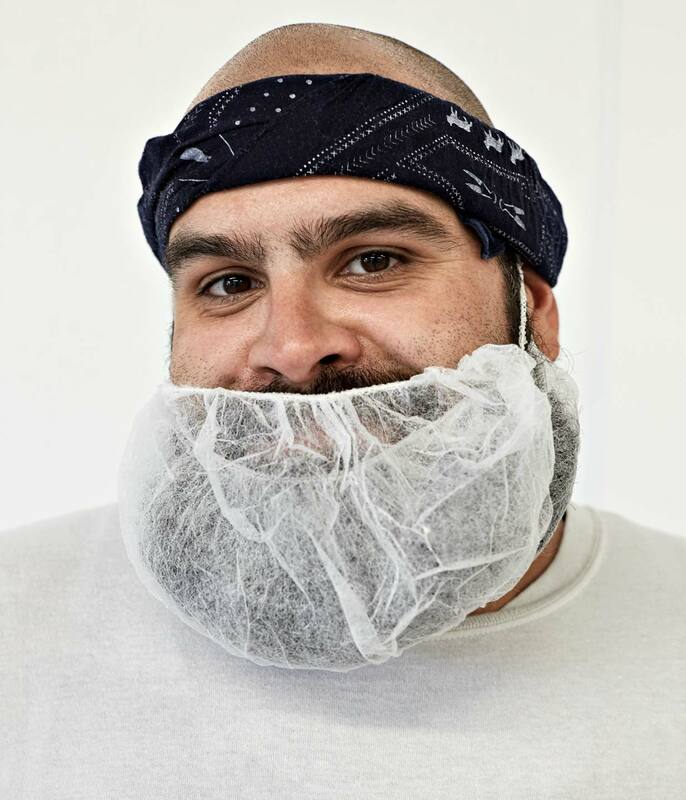 Cheesemaker is shown wearing a beard net to comply with food health regulations. Location photography by Atlanta based editorial, advertising, food and portrait photographer Nick Burchell. Nick Burchell photographs portraits of people in the food industry.